David is a life long resident of Metuchen, New Jersey. He currently lives in town with his wife and two children. David sponsors many local community organizations such as Metuchen Little League, Metuchen Town Soccer, Pop Warner Football as well as other local charities. He is a member of the Metuchen Chamber of Commerce, Metuchen Elks, and the Middlesex County Bar Association. David is a featured speaker at many real estate seminars. 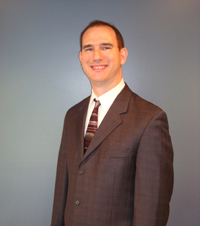 Since opening his law practice in 1996, David prides himself in providing personal attention to all of his clients. All calls are returned by the end of the day. All matters are explained fully to each client and every question is answered. There are never any hidden fees or charges.